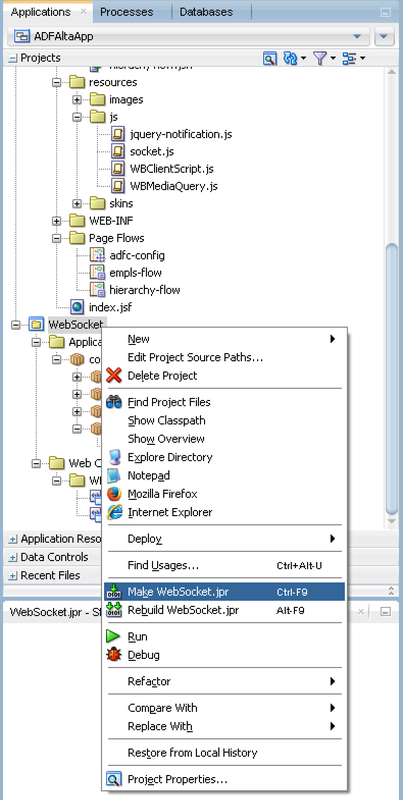 WebSocket is a protocol enabling communication over TCP connection. Communication is interactive, meaning data can be sent both ways - from the server to the Web client and back. 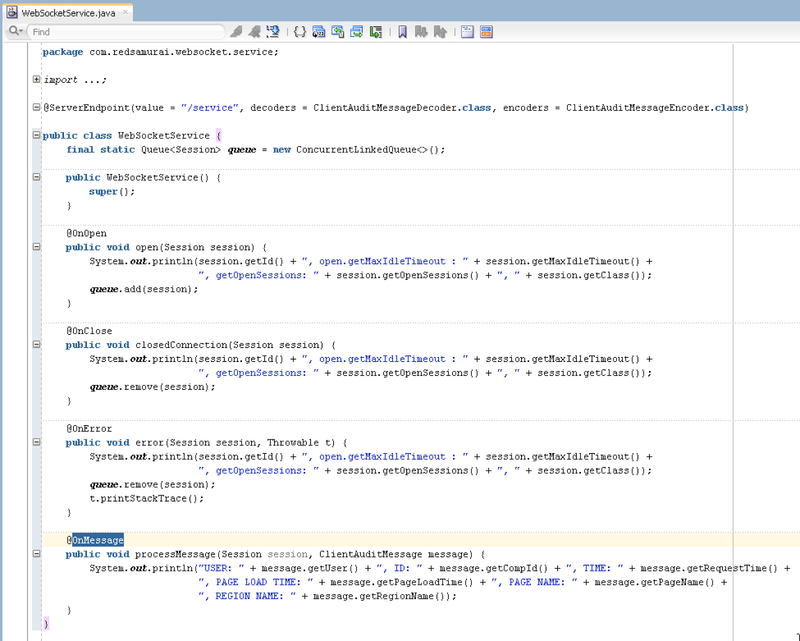 Data is sent through WebSocket channel, without using using regular HTTP. This means we can enable communication between server and Web client without consuming bandwidth from HTTP. 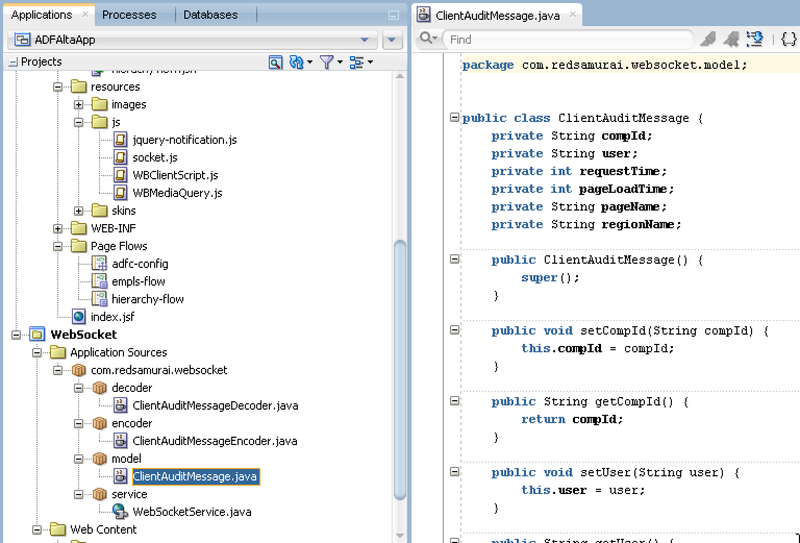 WebLogic 12c is shipped with required libraries for WebSocket support, we can use this protocol straight away in ADF 12c. 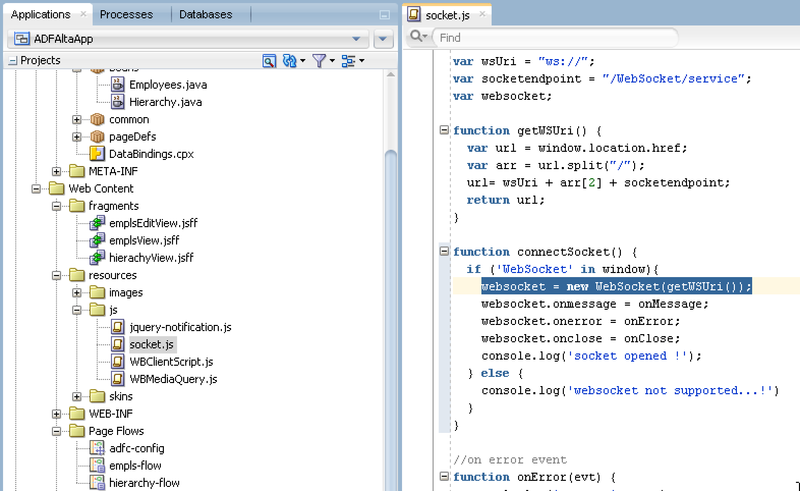 WebSocket supports JSON format, this allows to send and receive JSON formatted data, just the same as REST. 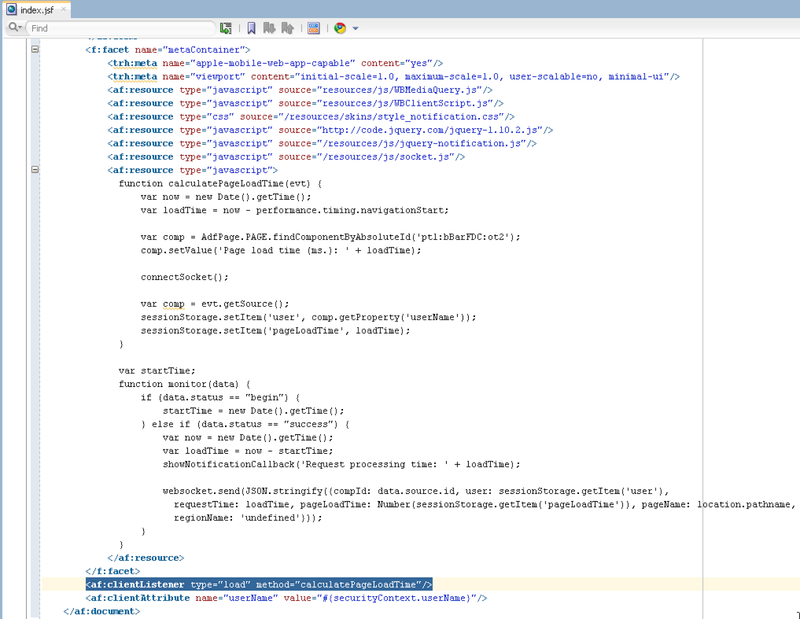 In this post I'm going to describe how WebSocket could be used, to report PPR request time measured on the Web client (Monitoring PPR Request Time on ADF UI Client Side), back to the server. 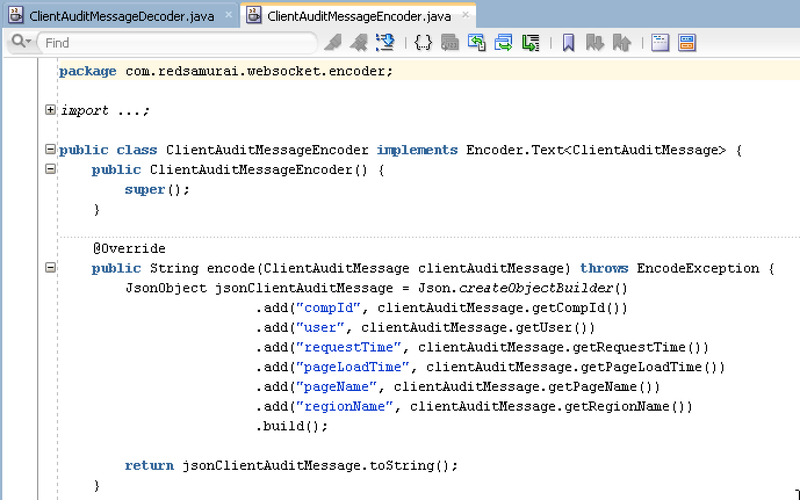 Make sure to compile WebSocket project, before you run sample application. 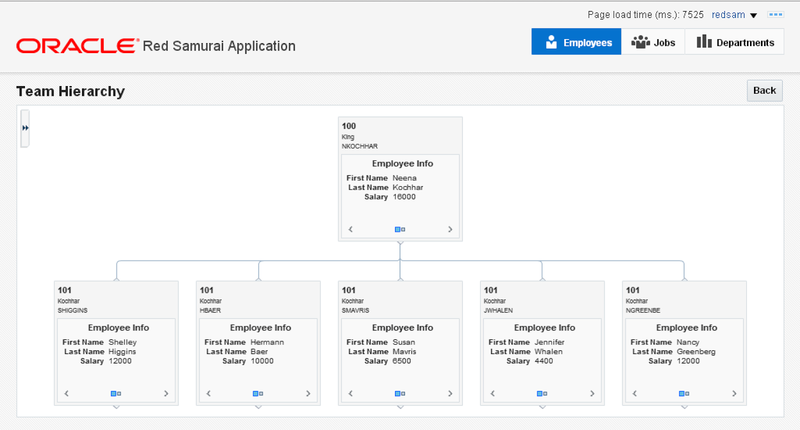 Download sample application here - ADFAltaApp_v4.zip. 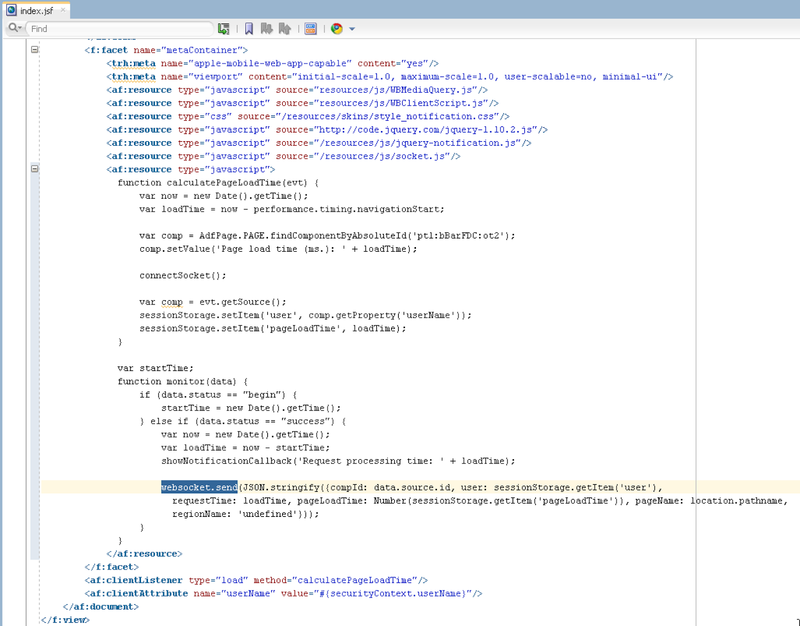 But the link to ADFAltaApp_v4.zip gives a 404 error. Could you give this sample please ? It works to download for me. Send me email, I will forward sample to you. 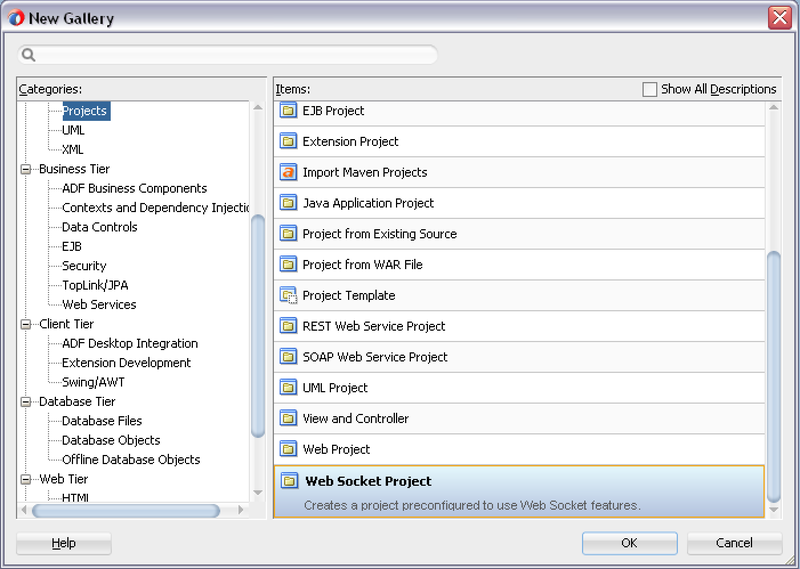 It works for me to download, please double check - should be ok.
How to enable Web Socket Project in jDeveloper 12c ? When i attempt to create new project, the project is not available. 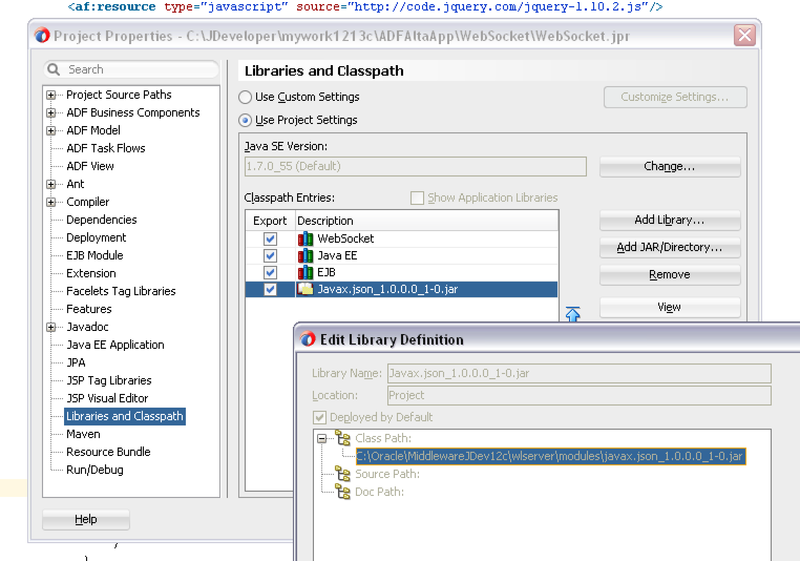 You can create generic project and add WebSocket library from JDEV wizard.